We are so happy to have our Beaumont Bears back in the building! Beaumont Magnet Academy is a magnet school serving kindergarten through fifth grade students from all across Knox County. We are a Fine Arts, Museum and Honors magnet school. For more information on joining the BMA Family, click here. To schedule a tour, click here. As members of the Beaumont Family we will CREATE a successful future! The Beaumont community is committed to the academic, creative, social, and emotional needs of our students and will promote learning, leadership, and pride in a unique liberal arts environment. Believe it! Master it! Achieve it! Our Museum Partners do a great job supporting us - check out what else they have to offer! 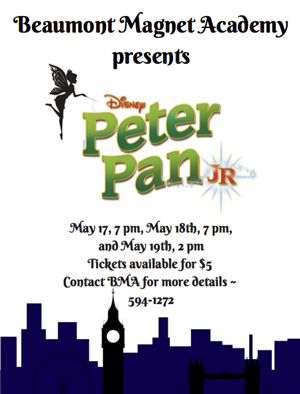 Come see our 4th and 5th grade students performing our spring musical! Mark your calendars for performances on May 17th & 18th at 7:00 pm, and Sunday, May 19th at 2 pm. Tickets are $5. Every person older than 3 years must have a ticket. To purchase tickets please email amanda.taylor2@knoxschools.org or call the school at 865-594-1272. There are a limited number of tickets so act fast! Here is the encore rotation schedule for the school year. 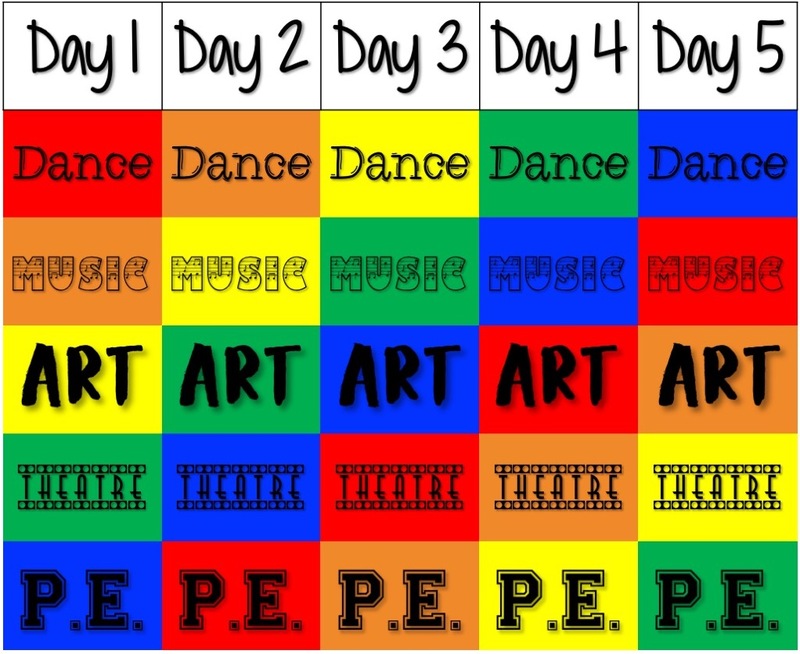 You may use this to figure out which encore class your student will attend daily. Ask your child which family they are in. Please remember to send your student in safe-moving shoes on days they have P.E. and in clothes that your student can freely move in on days they have Dance. Additionally, the library class schedule can be accessed here. Please consider supporting our school and students by joining the PTA (Parent Teacher Association)! You can pay your membership dues online here. 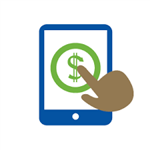 You can now make payments online! Just visit here and click on the item you want to pay for. You will add the item(s) to your cart (if you have multiple students or wish to make an extra donation, change the quantity) and click Checkout. You may have to create a username and password before submiting payment. You can also pay for these items by check or cash. Checks should be written out to "Beaumont" and dropped off in the office or sent with your student to their homeroom teacher! We appreciate all of the support that you can provide for your student's education. Let's have a great year! Please mark these dates in your calendar! 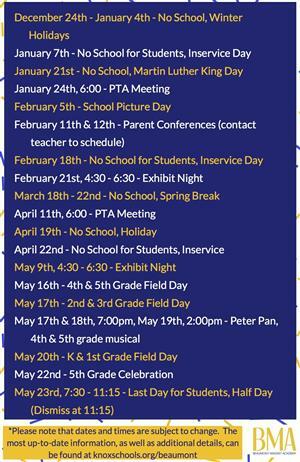 We have a fun-filled year coming up and are looking forward to all of these great events with our BMA family. You can download a copy of the calendar here. We are so excited to have your students back in our building!!! Please review our arrival and dismissal procedures here to ensure your students get to and from school safely. We did it! We won $100,000! A huge THANK YOU to everyone who voted in the month of October! And another huge THANK YOU to Farmer's Insurance for investing in big dreams and the future of our country. Our students will love their new arts-integrated playground and will benefit from it daily! Using a QR Reader scan the QR image above AFTER downloading the free app, AURASMA, to follow BMA's Aurasma Channel. By following BMA's Aurasma channel you'll be able to view interactive artwork at Exhibit Nights and more! 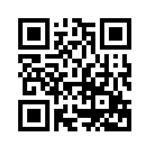 For an example use your Aurasma app and scan the BMA logo on this webpage.